A question I receive fairly often from people starting a new program is, “Why am I doing ‘x’ exercise?” Or, sometimes I’ll hear comments like, “Wow, this program looks a lot different!” Now, if it’s not a program I wrote, but was written by the one and only Nick Rosencutter, I’ll usually just give my default explanation of: he is crazy and wants you to suffer. If, on the other hand, I wrote the program, I will give them my rationale behind why I have them doing…oh I don’t know…hanging single-leg lateral calf raises with a chain for time. Okay, so maybe it doesn’t get that crazy. However, statements and questions like the two mentioned are valid, and the exercises and sets and reps you are performing do deserve justification and should have meaning behind them. That is an article for a different time. Check out Nick’s latest article on DrJohnRusin.com and learn how to develop specific muscle fiber types for your sport. Give it a read HERE ! Upper body training. Probably the most popular emphasis of training that you will see if you walk through most gyms throughout the country. Everybody loves pumping their biceps and building their chests up. If you are lucky, you might even find someone who enjoys chiseling out their upper back. 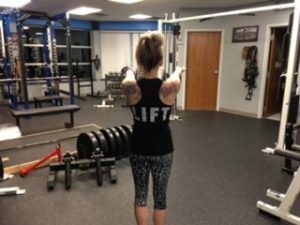 While working the upper body might be a very common thing to come across, very few people actually understand how to train it correctly. This is because very few people understand the anatomy and biomechanics of the activities that occur up top. (and if these things were understood even a little bit, those lovely things below the belt called legs would never be neglected). So, when we look at gym goers who do hit their upper halves a few times a week, we can generally put people into a few different groups. Group 1- The Bench and Curl All Day Every Day Group. These people love working the muscles that they see in the mirror and do many variations of pressing and curls with some extra delt and tricep work thrown in for good measure here and there. Neglecting the opposing muscles in the back leads to problems down the road and they are left with imbalances and shoulder issues. Group 2- The Train with some Push-Pull Balance Group. These people at least understand the importance of balancing out pushing and pulling exercises and try to do some kind of pulling exercise to provide some balance to whatever pushing/pressing exercise they might be doing. Group 3- The Shoulder Mechanics Involve More than 2 Motions Group. These are those in the know that understand the anatomy and mechanics of the shoulder and train movement and muscle around their upper bodies with some decent anatomically balanced precision; often leading to less shoulder issues and better looking and better performing postures. Digging into this a little deeper, while group 1 is way off of the map, group 2 at least has SOME realization about balancing out the anatomy. So what is it that they are missing that Group 3 is not? That my friends, is the question that we shall answer with the rest of this article. To understand how to properly train, we must first look at the anatomy and mechanics. I’m going to keep this straight forward and basic so this doesn’t turn into a textbook lesson. The first thing we need to look at is the scapula (known as your shoulder blade in street talk) and the motions it is capable of. The scapula lays on the back of your rib cage and has connections with your clavicle (collar bone) and humerus (arm bone). When we talk about “push pull balance,” we are generally talking about protraction and retraction of the scapulae (although many people don’t get quality protraction even with their pushing), flexion/extension, and on some occasions, internal/external rotation of the glenohumeral joint (what most think of as the shoulder joint) . While having some balance here is great, we also need to factor in the multiple other possible actions of the scap and gh joint. The scap can also elevate, depress, rotate upward, rotate downward and tilt forward and backward. The gh joint also internally and externally rotates, adducts and abducts. There are certain muscles that help to perform all of these actions. Anytime we move our arm, whether that be forward and backward, out to our sides or overhead and back down, our scapula, gh joint and our thoracic spine all need to move with a certain harmony amongst each other. When one of these is off, the other(s) must compensate in order to create further motion. Most commonly, the scapula stops moving or moves abnormally and the humeral head (top of the arm bone) glides either upward or forward to compensate, leading to impingement. Simply pushing and pulling neglects many of these actions, although if we are talking pushing and pulling both horizontally and vertically we are at least getting closer to the prize. To add further complication, when we add in any kind of shrugging exercise which involves elevation of the scapulae, the rhomboids are under pressure even more since they also assist with elevating the scapulae. Throw in some pulldowns or pullups, which involves downward rotation of the scapulae, which also activates the………guess what?………the rhomboids! So while at first glance, you might think that many people would need lots of rowing and pullups to balance out all of their pushing, you can now see that its not so black and white. 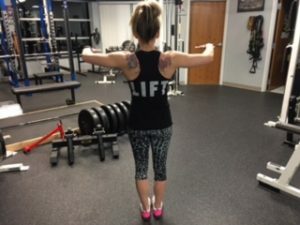 When you add in the fact that any kind of pressing exercise and any kind of vertical pulling exercise also involve internal rotation of the shoulder joint, we can start to see some patterns occurring. Pecs, lats and deltoids often become overactive, pulling the shoudler joint into internal rotation and, along with the rhomboids becoming overactive, limiting protraction and upward rotation of the scapulae. While many of these people do have overactive rhomboids, many of them do still need to “open up” their shoulders. So how do we do this without creating further complications? We need to train upward rotation of our scapulae and external rotation of our shoulder joints and/or do this ALONG with retraction. Some people might be excessively depressed and some excessively elevated. This must also be factored into any programming. Rather than just bench pressing, incline bench pressing, decline bench pressing etc. we need to do some pushing that allows us to move our scaps freely. Landmine presses, cable pushes, overhead presses, and pushups are some great ones. These allow us to get either quality protraction or upward rotation, or some combination of the two. Ensuring that our scapula is able to move effectively in these pathways will better allow our humeral head to stay centered in the glenoid fossa (shoulder socket), preventing impingement and keeping our shoulders healthier. Training our scapulae to upwardly rotate and stimulating the external rotators of our shoulder to help counteract all of the internal rotation going on are essential. Beyond that, we need to train some retraction without the rhomboids taking over. Y variations and basic external rotation variations are great ways to take care of the first two. Face Pull variations are a great way to conquer our third mission here. With a face pull, our scapula is in a position of upward rotation as we pull towards our head. Since rhomboids are also downward rotators of the scapulae, this takes them out of the movement to a certain extent and allows our mid and low traps to do more with the retraction of the exercise. So we have retraction with good recruitment of the mid and low traps in a position of scapular upward rotation, which is great. Add in the fact that we also get some external rotation at the shoulder joint as we pull, and you have a phenomenal exercise that can really do a lot to help balance out all of the issues that we talked about earlier. Both double and single arm variations work well here depending on the situation and person at hand. If there is side to side imbalance going on (one scap is positioned or moves differently than the other) then it is usually best to start with single arm face pulls. 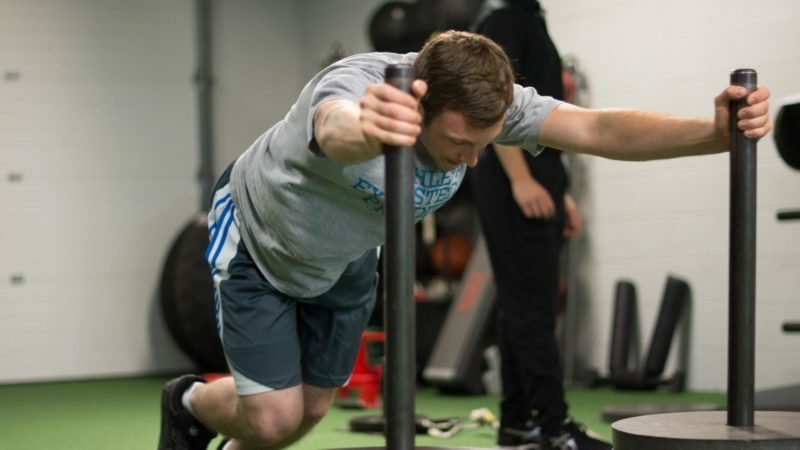 If somebody is excessively elevated in their shoulder girdle, it is important to be sure that they do not shrug up as they perform these pulling exercises as this will add to the tension that they most likely feel quite often through their necks and shoulders. Performing a high to low face pull might also be a good idea to encourage some depression of the shoulder girdle as you pull. Being sure to keep the shoulders down and back on most pushing and pulling exercises is important here as well. If somebody is excessively depressed, we need to get their shoulder girdle back up to a respectable level to allow optimal movement and to provide better support for the neck. These people often feel like their neck is “tight,” since its always being pulled on and stretched with the scapulae sitting lower than they should be. Factoring in the possibility of rhomboids being overactive from our earlier examples, we need to train elevation without overworking them more. Enter the Y shrug. This exercise allows us to engage the upper traps to help pull the scapulae up without adding fire to the rhomboids and levator scapulae, while also encouraging positive upward rotation of the scapulae via the lower traps, upper traps and serratus anterior muscles. Check it out above. 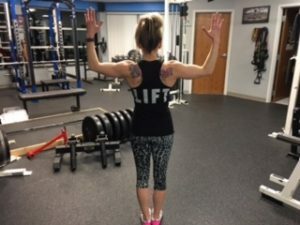 While I could go on all day about more factors that could possibly be considered in our shoulder puzzle and this is by no means an exhaustive list, these tips can and should go a long way in helping you to achieve a better balance around your joint; not to mention they should also help improve your lifts and your physique if those are goals of yours. After all, you can’t have a full road map on your back without hitting all of the muscles that are part of it. In case you didn’t watch this video earlier, check it out now. We go through a lot of the anatomy considerations mentioned in the article and it should help put some of the things mentioned earlier together for you. RUFP members competed at the 2016 WI State Fair Open and won Overall Best Lifter, the Female Division, the Teen 18-19 year old division, and Men’s Open 181-220 Division; and placed 3rd in the Mens Open 180 and Under Division. Check out the compilation video below to see the lifts. Great Job Everyone! When it comes to skeletal muscle, our bodies contain different types of muscle fibers. Generally speaking, there are slow twitch and fast twitch fibers. Slow twitch are more geared towards endurance and low force activities like a marathon run while fast twitch are more geared towards fast, high powered, high force and shorter duration activities like a sprint. Different muscles throughout the body will generally be composed of more of one than the other. Furthermore, different people will genetically have more of one than the other. While fast twitch can technically be divided to multiple different subsets, the two main subsets agreed upon by most are type a and b; with type a known as fast twitch oxidative. Fast twitch oxidative fibers have some good potential for good force and power output while still having the capability to assist with endurance activities. 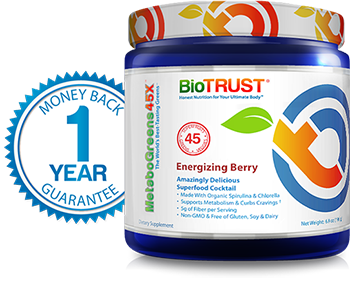 Through specific training, we can manipulate them to develop their oxidative potential to a certain extent. (or manipulate them the other way if that is the goal). 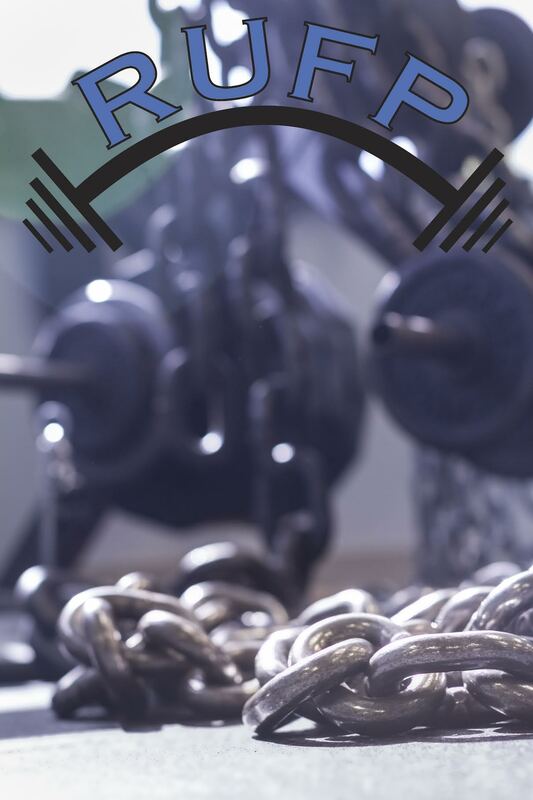 By developing this oxidative potential in the weight room, these fibers can benefit an endurance athlete to a greater extent outside of the weight room. In addition to this, while most endurance athletes seem to grasp the concept that slow twitch fibers are utilized heavily with their runs or their bike rides, many don’t realize that they can be developed and trained in the weight room. How do we do this? The answer is Tempo Lifting. While there is more than one way to do this, I will discuss a method we have been using with a former elite long track speed skater now turned competitive cyclist. I took a lot of this specific programming idea from sports scientist legend Yuri Verkhoshansky and his “Special Strength Training Manual for Coaches” and adapted it how I needed to for the task at hand. Using the Yoke Squat as our main exercise, we will do the following for the first and key part of the training session on one day in the current programming phase. In 1 series, he’ll hit a set of 15 to 20 slow tempo squats (currently 3 seconds down and 3 seconds up) to tap into his slow twitch fibers and get some hypertrophy out of them, followed by a set of 20 to 25 explosive squats to tap into his fast twitch oxidative fibers in order to prepare his body for the pace changes that can occur in a race. This is done for 3 series in his current program. There is 90 seconds rest between sets and 3 to 4 minutes rest between each series (of 2 sets). The weight for the explosive set is lighter than the slow tempo set. 3. We train our bodies and muscle fibers to be more resiliant, stronger and more adapative to the tempo, intensity and pace changes that will inevitably occur through different stages of an actual race. He follows this up with prowler pushes used in a similar manner. Trip 1 is slower paced followed up immediately by Trip 2 at a sprint pace. This is done for 5 to 6 sets. This is then followed by different accessory exercises such as glute ham raises and static inverted row holds. His other lifting day in the program is focused on max strength and speed strength, which are also very important to any endurance race enthusiast though also often overlooked. He then has multiple bike days where we will develop specific energy systems and their subsets depending on the stage we are in leading up to the race. We can cover more on these other qualities in another article. The goals for this article are to make you aware that we can develop and train slow twitch and the oxidative capability of type a fast twitch fibers in the weight room to help performance in that next race. Check out the videos below of Liam hitting his squat sets. Are you getting the most out of your race performance? Train with a purpose! Today, we have an article by our fantastic trainer and coach Brittney Wilinski about staying active and eating healthy while traveling. Great information for any of you traveling out there………. Recently, I went on vacation to St.Petersburg, Florida for a week… and let me tell you, the weather was much more beautiful and consistent there! Like myself, I am betting there are quite a few of you who will be traveling, even if it is a 3-day weekend vacation. It is definitely a time for relaxing, having fun with family and friends, and most likely splurging a little more on food and drinks. But what about all that hard work you’ve been putting in at the gym and all the time you’ve been slaving in the kitchen making healthy meals?! News flash, you don’t have to completely ditch your workout and eating habits just because you are going on vacation! It really is pretty easy to stick to your normal routine for the most part. While I was gone for a week in Florida, I stayed in a condo and was able to go to the grocery store and buy food for the week that I could cook or prepare easily. Some of the main foods I grabbed were: eggs, turkey, chicken, a bunch of veggies, Greek yogurt, fruit, granola, and salsa and guacamole (I love eating my veggies with both of these!). Even when we did go out for lunch or dinner I would try to order something that was more towards the healthier side and stayed away from deep fried, super greasy foods. One day I got a Jerk Chicken sandwich but ditched the bun and put it on a bed of lettuce… it was amazing! Don’t be afraid to ask your servers ‘weird’ or ‘picky’ questions, it really pays off because many times restaurants are very flexible, so you get a healthier meal and they get a better tip 😉 Win, Win! Eating healthier is one goal to stick to, but there is also the working out and being active part! One thing that I tried to do every single day was walk on the beach. Again this is a win, win situation: I got to enjoy the warm Florida weather and amazing view, while also getting the benefit of being active. Another way to enjoy my vacation while also getting some exercise in was by walking to shops or stores, swimming in the pool or ocean, and playing volleyball or fun pool games that required me to move around a lot. I used my carry-on suitcase and loaded it up with a computer, book, and some full water bottles for my squats and one-arm rows. You could also do bodyweight squats and add a pause to make it more challenging. For the offset carries I used a larger suitcase that had some shoes in it and added my computer and book to make it slightly heavier. In our room there was a bench and chair; I used the bench for my hip thrusts and the chair for my step-ups. If a bench isn’t available, you can do glute bridges (double leg/single leg/march) from the floor and add a few more reps. To add weight to your ITY’s you could use water bottles or soup cans, or just body weight with more reps. If you are doing body weight or very light weight, you are still getting a great metabolic effect by doing more reps with less rest time. As you can see, it really isn’t that hard to stay somewhat on track while you are out enjoying yourself on vacation. The main thing is to plan ahead of time what you will do for workouts and figure out where the nearest grocery store is. It wouldn’t be a bad idea to check out some restaurants’ menus to see which ones have healthier food options especially if you are going on a road trip! Travel workouts can be some of the best and most fun workouts you will have. Be creative and spontaneous and you can get some awesome training in while you are away! If you are at all serious about strength training then you undoubtedly have deadlifted. If you are at all working to increase your deadlift, you have most likely felt a sticking point at some portion of the lift. 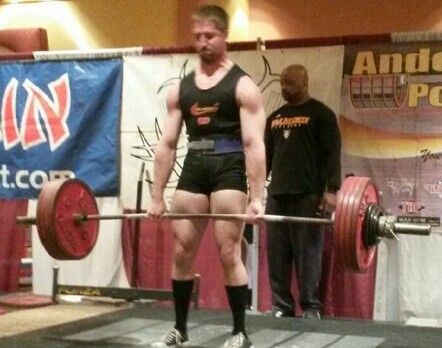 Personally, if I miss a lift on a max attempt at a meet, I tend to get stuck an inch or two below my knees. While there are multiple exercises I have been using to destroy this sticking point and get my pull to the low to mid 600’s where it should be (I missed 578 a couple times in recent memory and had 600 to my knees last august), one of my favorites is paused band deadlifts. Another great exercise that can help is block deadlifts. I give thanks to Dan Zwirlein and Dan Pasholk for recommending these to me. Since the weights rest on the blocks instead of the bar resting on pins, it more closely resembles the feel and position of this point of the range of motion of a regular deadlift (pulling off of the rack is a little different). In general, these will be harder when pulling from a sticking point than when pulling from the floor since you have NO momentum to get you past it. When done correctly, if you PR from blocks at a point that is hard for you, it should carry over to improvement with your full pull. Here is video of me hitting a PR about a month before my meet from last weekend. These were done BEFORE the band deads in the first vid. You could use both or cycle between them in different cycles depending on what you are doing. Note: you should mimic the same hip position that you would be in at this point of the range of motion if you were doing a full deadlift. The result? I just smashed an all time PR last weekend at the WABDL World Cup in WI Dells with a 601 lb deadlift at a bodyweight of 186. While there were definitely other variables that helped make this happen, I definitely feel that these exercises really played a big role. Give these two exercises a shot and watch your deadlift sticking point disappear!! 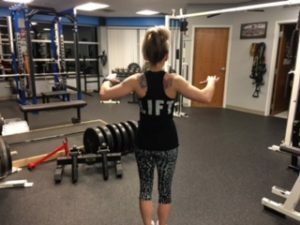 If you have been exposed to any type of movement or postural training, you undoubtedly know at least to a certain extent that “being tall” and having open shoulders are important when pushing or pulling or in many cases, standing or sitting posture. Exercises such as rows, w’s, pull aparts, etc. 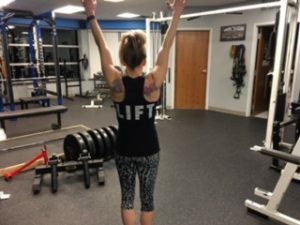 train our upper and mid back muscles such as the mid and low traps and rhomboids to become stronger and more endurable so that we can have more opening in our anterior shoulder region. You essentially train this “opening” with these exercises. 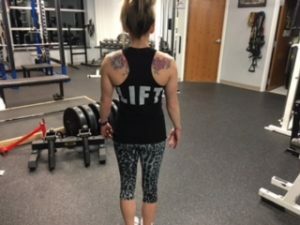 While this is generally a great idea for many people, a common mistake that is often made is substituting posterior rib tilt for scapular retraction (pulling the shoulder blades together). In a failed attempt or an exaggerated attempt to open the front of the shoulders up, people will tilt their ribs back and overextend their lower and mid backs instead of simply driving their shoulder blades together and opening the chest up. I especially see this with many high school athletes that I work with. This should be watched for with many exercises and positions. The cue “big chest” can sometimes work but many times can lead to the rib tilt just discussed instead of simply opening the anterior shoulders up. “Be tall” tends to work better when fixing this problem. This carries over to squats, standing posture and many things in between. Next time you are thinking of fixing that shoulder posture: Be tall and open those shoulders up but don’t get too crazy and crush your low back. One final thought: If someone has no flexion in their thoracic spine, their scapula will be unstable until you restore that flexion so “shoulder opening” exercises won’t help as much until that happens. Below are a video of a Band W with level ribs and then a Band W with posterior rib tilt . As I mentioned, this is a compensation you want to be aware of with many exercises, movements and positions. Take note and your posture, movement and strength will improve. Other example vids can be found here: proper position and improper position.